Towing in Manhattan, Queens, Brooklyn, and the Bronx. 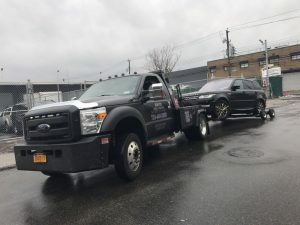 Kwick Towing and Recovery, Inc offers 24 Hour Towing and Roadside Assistance in Manhattan NYC, we provide Flatbed Towing in Manhattan NYC, Wheel Lift with Dolly towing, Free Blocked Driveway Removal, Tire Changes, Jump Start and much much more. Call us at anytime! We provide fast and reliable Towing services in Queens NY. Our services range from Free Blocked Driveway removal to Low Clearance Towing services. We specialize in Flatbed Towing services in Queens NY area and its surroundings. 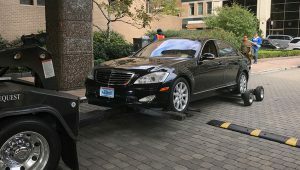 We also take pride in our professional wheel lift with dolly towing assistance. Next time you you need a Tow Truck service make sure you give Kwick Towing and Recovery for KWICK Towing services. Need Towing in Brooklyn, NY? No problem, Kwick Towing services the entire Metro-NYC area. We have Tow trucks scattered all around NYC including Manhattan, Queens, Brooklyn, and the Bronx. We provide lightning fast Towing and Roadside Assistance services in Brooklyn. Our Towing rates in Brooklyn are fair and affordable. Give us a KWICK call to find out more about our services. Are you stuck in the Bronx? Do you need a Flatbed Towing service in Bronx? Is there anyone Blocking your active driveway in the Bronx area? No worries, give us a call and we will dispatch a tow truck over as quickly as possible to serve your Towing needs. We offer Free Blocked Driveway removals, Flatbed Towing, Tire Changes, Jump Starts, Winching services, Low Clearance Towing and a lot more. Only way to get the full hang of our services offered here at Kwick Towing services is to give us KWICK call. We are here 24 Hours a day 7 Days a week. Yes - we are open on all Holidays!